Why have nations fallen out of love with US Treasury bonds? It's the world's safest and most actively-traded financial instrument - and essential in meeting the US government's voracious and ever-increasing appetite for borrowing. All of this would make a certain amount of sense were it not for the selling by Japanese investors. Japan has little reason to hold a grudge against Mr Trump other than the fact the its prime minister, Shinzo Abe, was kept in the dark about the President's sudden decision to meet North Korean leader Kim Jong-un. First (Other OTC: FSTC - news) of all, America's borrowing continues to pile up. 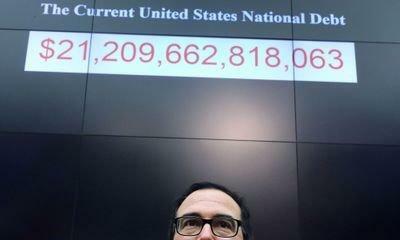 US national debt stood at $21tn at the end of April while the budget deficit, the difference between what the US government spends and what it receives in tax receipts, is expected to hit $1tn by 2020. So America needs the rest of the world to carry on buying its IOUs.